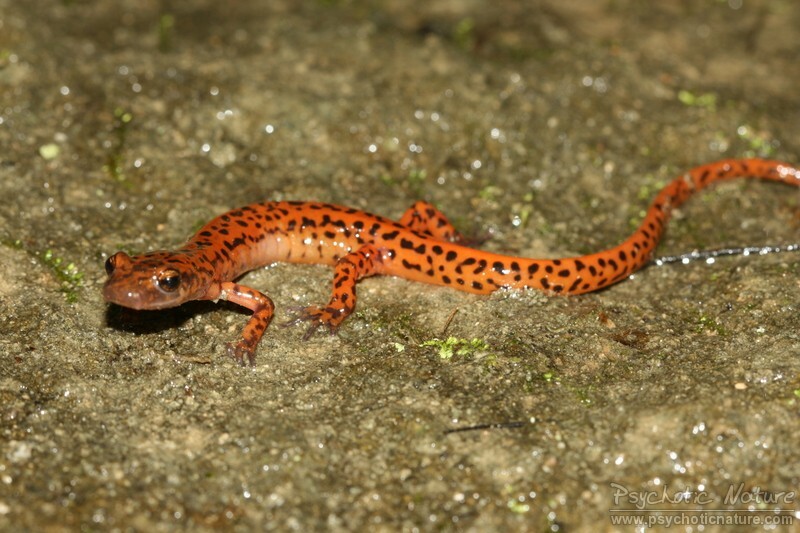 The word Salamander means 'fire lizard'. Can be found in North America, Europe, and parts of Asia and South America. Do not live in Australia and Antarctica . Live in water and on land as there are species with and without lungs. Salamanders living in water have gills and are agile swimmers. 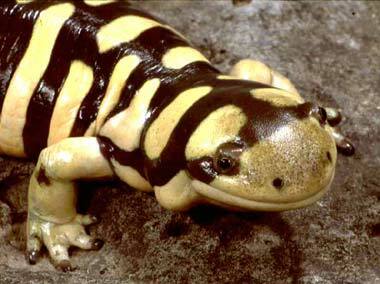 The Black Alpine Salamander lives only ten years, but their pregnancies last three years. 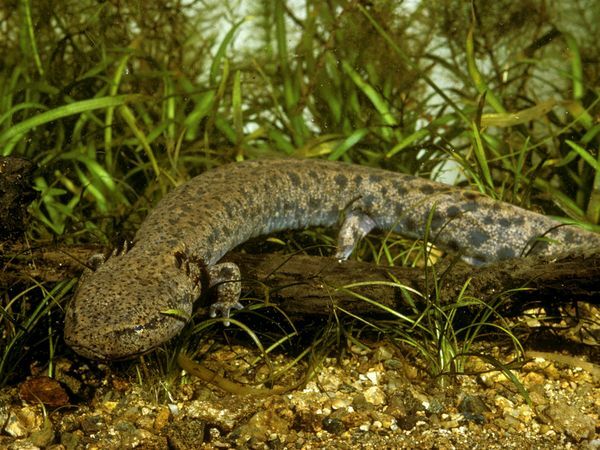 Aquatic Salamanders eat small fish, tadpoles, frogs, leeches and mosquito eggs. 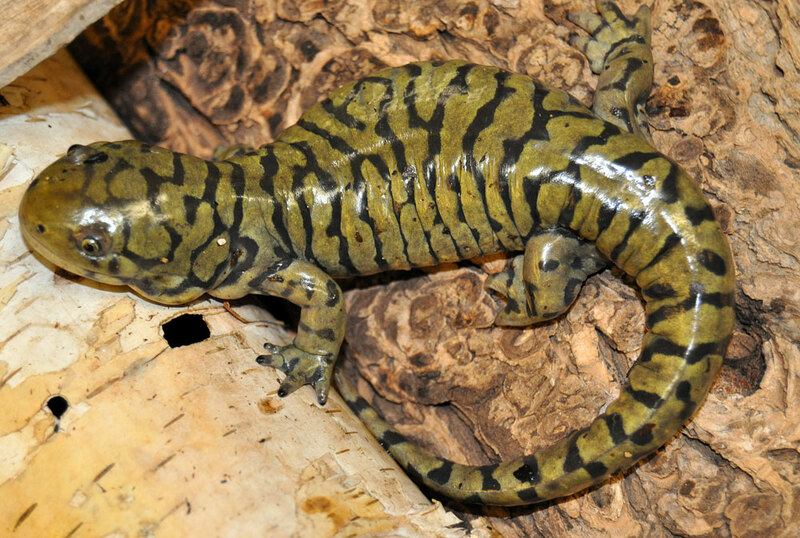 Land Salamanders eat worms, spiders, dragonflies, frog eggs, slugs and other small invertebrates. Can regenerate lost limbs within a few weeks - including tail and toes. Nearly all Salamanders lay eggs - but there are a few that give birth to live young. 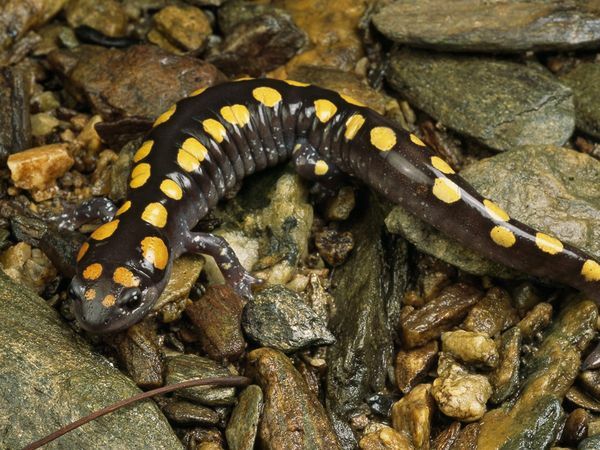 Some Salamanders lay their eggs in water and others on the land. They can lay between 20 - 50 eggs covered with jelly. Eggs laid in the water hatch into Salamander larvae with gills. Eggs laid on land hatch into terrestrial Salamanders with no gills. The baby sSalamander eats its own eggshell, living off the nutrients for about a week. Are close relatives to frogs and toads. Feed on worms and insects. Mudpuppy Salamanders bark like dogs and are the largest of the Salamanders.